Biological weapons are the least well understood of the so-called weapons of mass destruction. Unlike nuclear and chemical weapons, biological weapons are composed of, or derived from, living organisms. 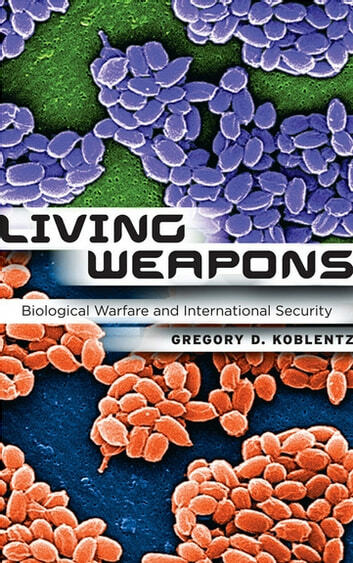 In Living Weapons, Gregory D. Koblentz provides a comprehensive analysis of the unique challenges that biological weapons pose for international security. At a time when the United States enjoys overwhelming conventional military superiority, biological weapons have emerged as an attractive means for less powerful states and terrorist groups to wage asymmetric warfare. 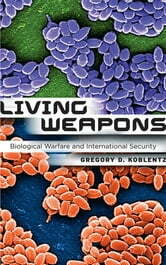 Koblentz also warns that advances in the life sciences have the potential to heighten the lethality and variety of biological weapons. The considerable overlap between the equipment, materials and knowledge required to develop biological weapons, conduct civilian biomedical research, and develop biological defenses creates a multiuse dilemma that limits the effectiveness of verification, hinders civilian oversight, and complicates threat assessments. Phantom Menace or Looming Danger?